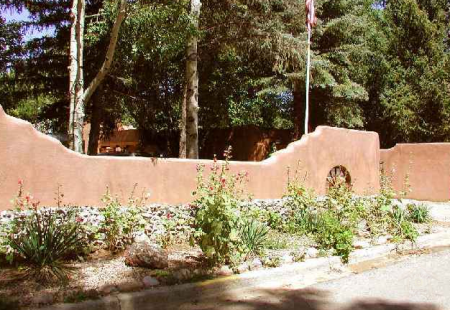 Casa Encantada 3 - Holiday Travel Ski Studio Rental - An historic and unique find for the guest in search of the aesthetic unusual! 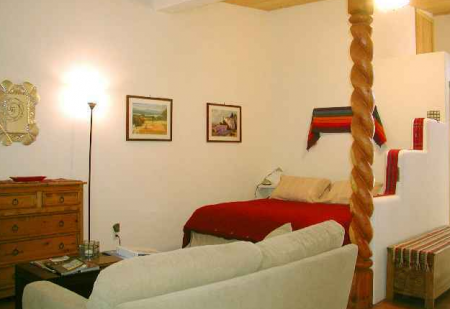 Located in the beautifully renovated Casa Encantada compound in the enchanted village of Taos, New Mexico this very charming Holiday Travel Studio is a short walk to town and is a stone's throw from the El Monte Sagrado Resort, Spa and restaurant with upscale bar offering live music and large screen plasma TV's. 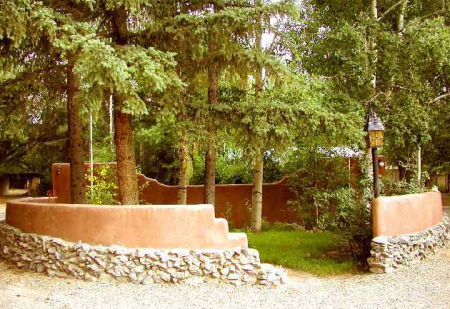 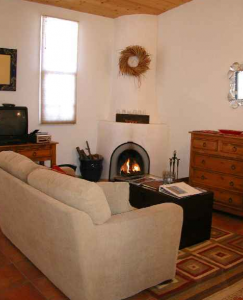 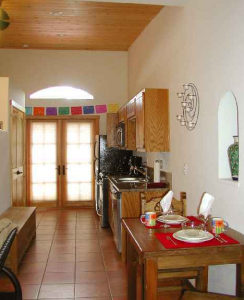 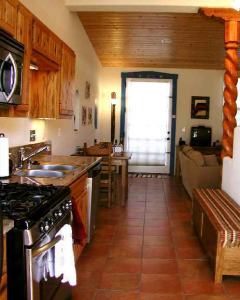 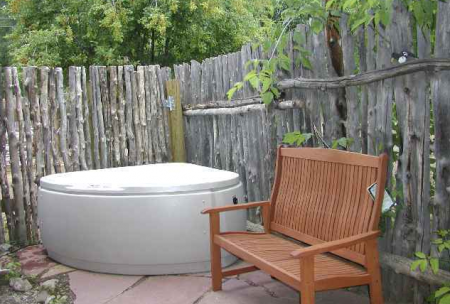 This Taos Ski Vacation Rental Studio for two or 4 and offered by Premier Properties can also be rented along with units 1 and 4 and 7 for a total of 12 guests wanting individual units with close proximity to one another. 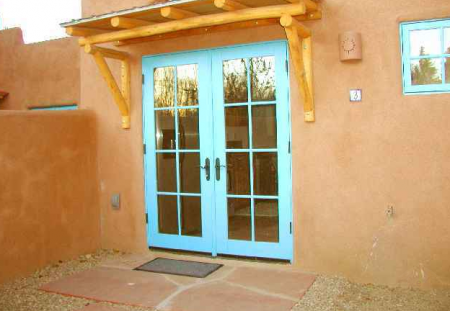 Two private flagstone patios surrounded by adobe privacy walls add outdoor living space front and back. 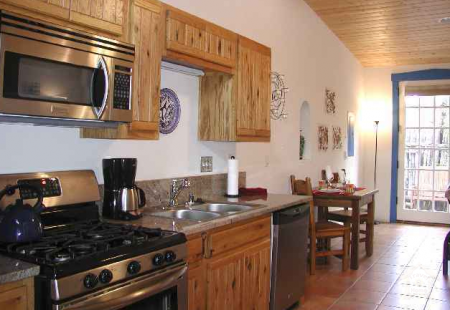 Providing "Upgraded appliances, authentic handmade Mexican and Southwest style furnishings" this romantic holiday casita rental is sure to please discriminating guests!